Revamping or redesigning your brand would be very crucial to bring loyal customers back, going two steps further of competition and disclosing your brand as responsive and adaptive. A user friendly and fresh website can help you in getting more and more profits easily without any problem. In the middle of the website rejuvenation and brand facelifts, companies always forget a vital aspect of the website i.e SEO rankings. Make sure you are not ignoring the importance of SEO rankings during the process of website redesign. The effects of not going for the SEO activities and SEO rankings at the time of website redesign would surely haunt your business for sure. 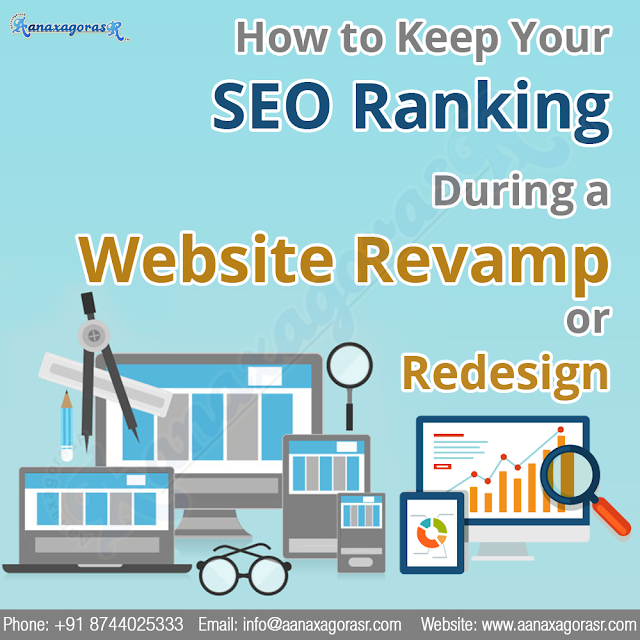 All the hard work which you put into increasing the traffic of your website would be gone because your team or you forgot to consider the SEO rankings during the process of website redesigning. This article would tell you about the saving your SEO ranking during a Website Redesign or website Revamp. There would be chances that whenever you are going to redesign your website, URLs would be changed. You need to search hard for that older URLs. If you are missing this step, then search engines would index the new URLs as new pages and not able to find the older URLs. It would decrease your rankings for sure. It means a drop in revenues, sales and traffic. Doing a SEO crawl would give you a full picture of the site architecture which includes URLs and metadata. You can use best tools such as Moz Crawl and Screaming Fog for the best results. Make sure you are not forgetting to crawl any subdomains. This is one of the important steps which you should do while revamping or redesigning your website. After changing the structure of URL, you are losing your precious inbound links which are crucial in improving your SEO rankings. You should perform an inbound link analysis which would give you a greater clarity into the link profile of your website. It would be very vital that you and your developers are fully aware of the pages which are being linked to the site and where the link leads. 301 redirects are those helpful codes which can inform the search engine bots or web browser that the content of the old URL has been transferred to the new location. You just have to put the entire SEO ranking and power from the older pages gets assigned to the new pages of website. It would redirect all the users from the old URLs to the newer ones. You would get more traffic and it would be very essential to maintain the search brand equity. Going for an SEO audit would be the best option for you. It would give you many advantages for sure. It will help you in finding the risks, strength, opportunities and weak points of your web architecture. These will assists in checking what aspects of the website should be transferred. You should understand any good website should have a crawl- friendly and clean structure, measurable analytics and optimized content. Whenever you are designing your brand, you should go for the professional SEO Company. They would help you out in many possible ways which includes web designing also. They are fully aware of the tools of the trade in and out.